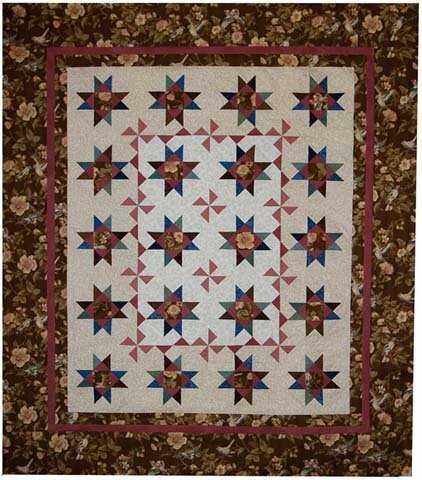 Another Yankee Pride Quilts original Mystery Quilt pattern. Follow our easy directions, and make this gorgeous quilt! This Mystery Quilt pattern is from early in our Mystery series. Fabric choices are key here, as you can see in the photo. This quilt is really stunning, and when taken one step at a time, it's very doable. The instructions are included for two sizes: Throw and Queen. Yankee Pride mystery instructions also include guidance on choosing your fabrics - one of the most difficult things for lots of quilters. Click here for yardages and fabric descriptions.